Brian Latham Peel Blacker had an identical twin brother, David, whose parents were Stewart Blacker (famous for his wartime invention of the Blacker Bombard) and Lady Doris Blacker, the daughter of Lady Peel who built Leydene House. He acquired Garston Farm, East Meon on the death of his grandmother and founded, on taking on the farm, a herd of 70 cows, which were milked twice a day by a gang of 7 hand-milking workmen. He soon bought himself a machine milking equipment to do the job with only one man. He built himself and his wife Jill, the house, known as Garston Farmhouse, where he had his family of 4 daughters. Moving in the 1970s to Coldhayes, Liss, the home of his mother he continued to farm both the Coldhayes estate as well as Garston Farm. Eventually he sold Garston to the Tyrwhitt-Drakes of Bereleigh, which now forms part of that estate, and which includes Westbury Forest as well as Bereleigh itself. His second daughter Charlotte has recently returned to the village in 2013, occupying one of the houses at Park Farm. 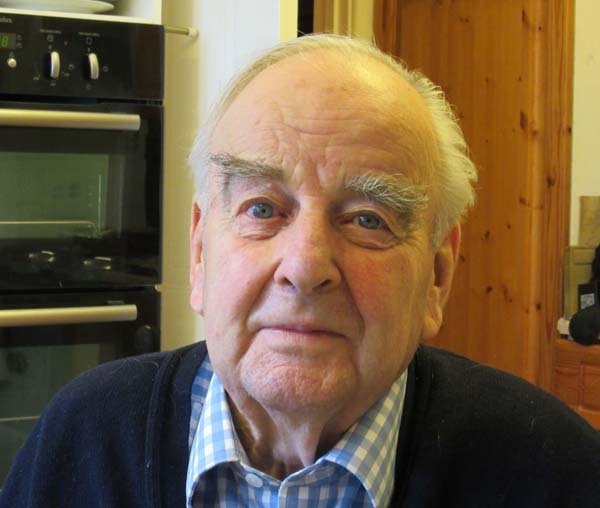 His recollection of locals who worked for him is long, and includes Harold Saint, his herdsman, Stanley Adams his farm foreman(husband to Kath) and Jessie Tubbs, the penny whistle playing experts of The Izaac Walton pub in East Meon.